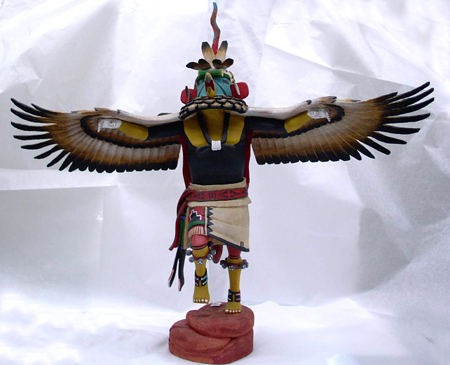 CopperKachina.com :: What Is A Kachina? (1.) Any of numerous deified ancestral spirits of the Pueblo peoples, believed to reside in the pueblo for part of each year. (2.) A masked dancer believed to embody a particular spirit during a religious ceremony. (3.) A carved doll in the costume of a particular spirit, usually presented as a gift to a child.